David Thorpe takes a look at the BGG9 Battery Grip for the G9 to see if it's a worthwhile buy. 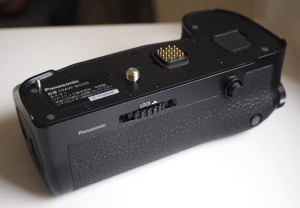 David Thorpe takes a look at the BGG1 Battery Grip for the Panasonic Lumix G80 and G85 camera. Daniel Bell charges a variety of batteries with the Pixo C4 Universal Charger. If you're an iPhone user you're bound to find your battery has a habit of running out too quickly. The Mophie Juice Pack Air could be the answer. We have a look at Hahnel's latest products at Photokina 2012. 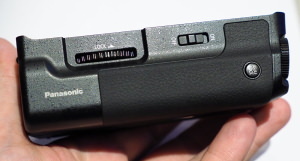 Batteries, battery chargers, remote triggers, and a new microphone are some of the new products. Charging on the go? Take a look at the Ansmann DigiCharger Vario Pro. That rhymes. With it being from the future, Gary Wolstenholme needs to find a way of getting the Maha Wizard One to reveal who wins the Grand National for the next ten years. Matt Grayson is always on the lookout for ways to get to sit in the sun. The FreeLoader Globetrotter uses solar energy to recharge dead cameras. It uses artificial light too, but he forgot to mention that. Matt Grayson takes a look at the Camlink Sigma Power pack and Charger to see if he can keep going and going and going... etc.